Rock an earth-friendly, fashionable look with Water Bottle and Paper Bangles from Heidi Borchers. For this recycled craft project, you'll need metallic foil tape, scrapbook paper and empty plastic bottles. Customize each piece to create the perfect look. Remove the labels or the stickiness with a sticker removal product. 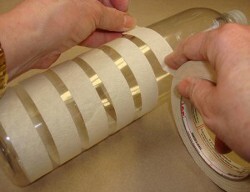 To measure and cut the plastic water bottles, place the masking tape evenly around the bottle. 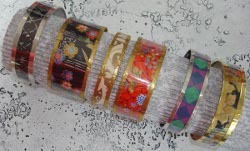 Each ring of masking tape is a bracelet. Cut the bracelets apart using a craft knife. 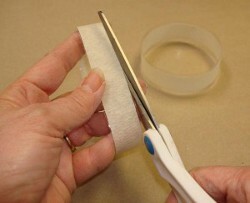 Trim the edges of the plastic to the edge of the tape with scissors. 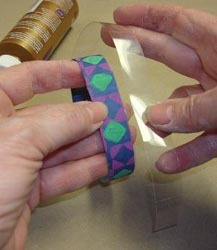 For each paper bracelet you will need 2 rings of the plastic water bottle, cut to the same width. Cut one of the rings open. Cut a strip of paper the same width and slightly longer than the plastic water bottle rings. 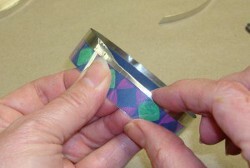 Measure and cut two pieces of the foil tape to go around the bracelet plus 1/4”. Remove a small length of paper backing at a time. 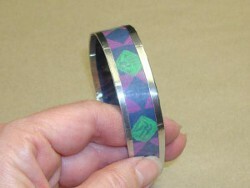 Line up the foil tape centered on one outer edge of the plastic bracelet. 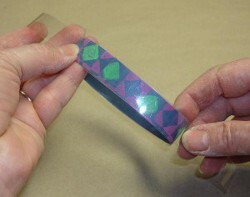 Press to secure the tape all the way around the plastic bracelet. 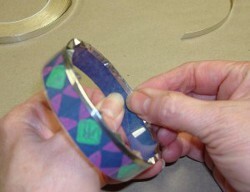 Carefully push the other edge of the tape over the bracelet edge to the back or inside of the bracelet. 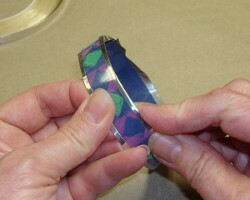 Push with your fingers to smooth the tape on the inside of the bracelet the best you can. Then use a pencil to press over the edges of the foil tape. 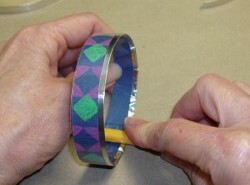 Repeat with the other side, centering the tape on the edge of the plastic bracelet. 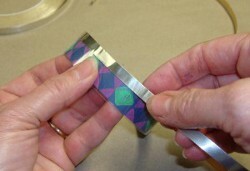 Push the tape to the inside of the bracelet. Here's the finished bracelet. Visually, it's more important for the outer edge of the tape to be smooth, but the inside should be as smooth as possible for comfort. 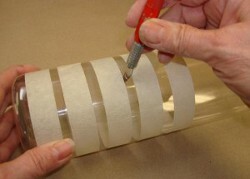 For a video tutorial of this project, check out How to Make a Water Bottle Paper Bracelet. I could not fine the medallic foil tape. Is there a substitute?